The virus, known as a phage, infects the Pseudomonas aeruginosa bacterium, which frequently resists antibiotic treatment. The phage prompts the immune system into going after it instead of its microbe host, researchers report1 on 28 March in Science. The bacterium and the phage, called Pf, exist in a symbiotic relationship that scientists suspect is more widespread in the microbial world than previously believed. The finding could help to explain why the immune system tolerates helpful bacteria, such as those in the gut, and could lead to better treatments for infections. Although some phages kill their bacterial hosts, others live happily inside the microbes without killing them. Researchers have long suspected that this coexistence means that the viruses are advantageous for the bacteria in some way. To study whether phages affect how bacteria interact with their hosts, immunologist Paul Bollyky of Stanford University in California collected swabs from chronic wounds, such as infected burns, in 111 people. Of these, 37 wounds were infected with P. aeruginosa. 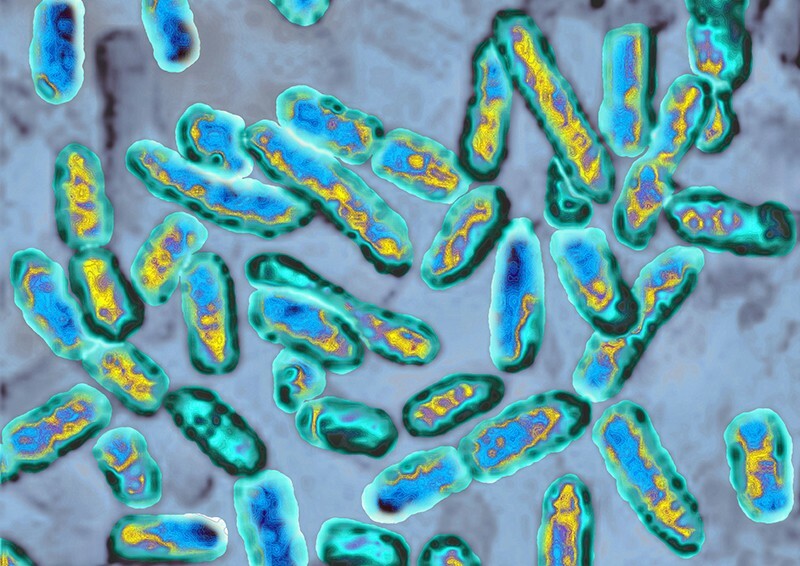 The researchers found that 68% of the P. aeruginosa infections contained the Pf virus. When Bollyky and his colleagues transferred these phage-infected bacteria into open wounds on mice, they found that it took fewer bacteria to start an infection and that the rodents were more likely to die of their wounds than when the scientists used P. aeruginosa without Pf. The bacteria attracted immune cells called phagocytes, which eat bacteria but avoid viruses. When the phagocytes attacked wounds infected with P. aeruginosa and Pf, they soon left after eating only a few bacteria. The phagocytes that had ingested the infected bacteria then sent signals attracting immune cells that only attack viruses to the area. The team was able to reduce P. aeruginosa infections by vaccinating mice against Pf before infecting them with the bacterium–virus combination. The researchers think that the phages mimic human viruses by making double-stranded RNA, which triggers the immune system to attack. Bollyky suggests that similar mechanisms could partly explain why the immune system tolerates normal, helpful bacteria that live in our bodies. “It’s a breakthrough paper,” says Andrzej Górski, a bacteriologist at the Polish Academy of Sciences in Wrocław. Other research has suggested that phages affect inflammation and might have a role in preventing allergies2, but Górski says the latest paper is the first to show how phages harm human health. These viruses don’t just eat bacteria — they can also affect a person’s immune system, for good or ill, Górski says. For now, Bollyky and his group are working on more immediate, clinical aspects of their finding. They have patented the Pf vaccine and are testing it in pigs that have burns or skin wounds. The researchers are investigating Pf as they would a human virus such as influenza or hepatitis, Bollyky says. They want to decipher how Pf interacts with the body and whether targeting it could help to treat infections. But Bollyky hopes that other teams will begin looking broadly for other bacterium–virus pairs that function in a similar way. Febvre, H. P. et al. Nutrients 2019, 666 (2019).